A-T Controls has several electric actuators for a variety of applications including those requiring weather-proof, explosion-proof, and other such specialty considerations. 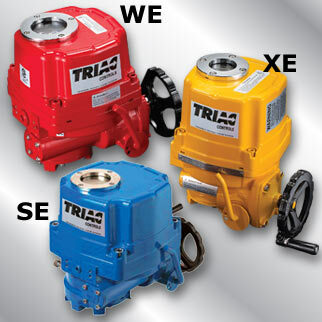 A-T Controls offers TRIAC® WE (weather-proof), XE (explosion-proof), and SE (submersible) electric actuators for use with quarter-turn operating applications such as ball valves, butterfly valves, plug valves, dampers, and other such valve automation solutions. The WE and XE are also offered in compact versions for use with small ball valves, dampers, and other similar quarter-turn devices. For more information, see the A-T Controls Electric Actuators Datasheet launch and contact us to start your order. 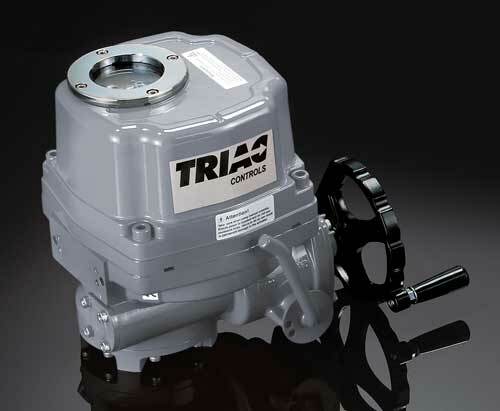 A-T Controls offers the TRIAC® XC Series of explosion-proof electric actuators. They are rugged and reliable actuators that are suitable for applications in hazardous locations. The XC features self-locking, double-reduction worm drive and torque switches. They are ideal for use with ball, butterfly, plug, or rotary valves and dampers. 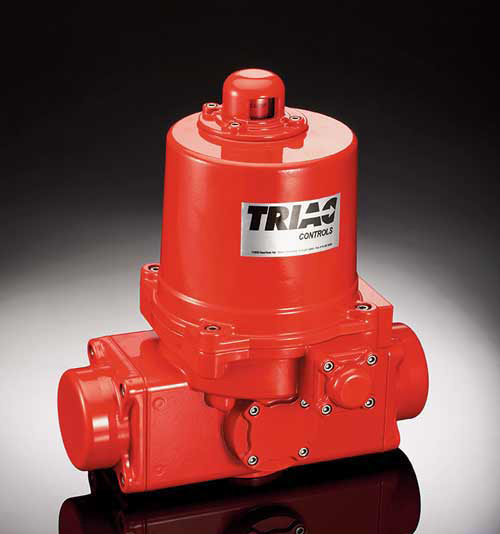 A-T Controls offers the TRIAC® KE Series of worm-drive, weather-proof, electric actuators for applications in a variety of industries such as petroleum, chemical, water treatment, and more. The KE features self-locking worm drive. 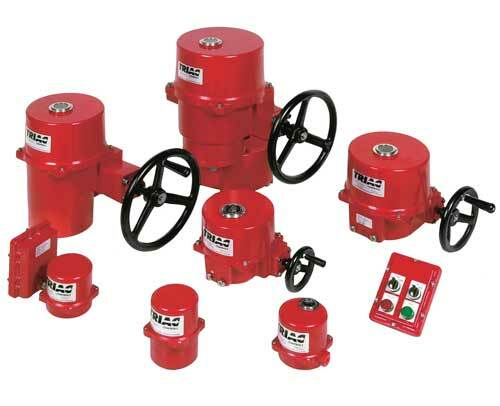 They are ideal for use rotary valves such as butterfly valves, ball valves, and plug valves. A-T Controls offers the TRIAC® FSE Series of spring-return, electric fail-safe actuators featuring a reliable clutching mechanism designed to handle spring failure. For more information, see the A-T Controls Fail-Safe Electric Actuators Datasheet launch and contact us to start your order. 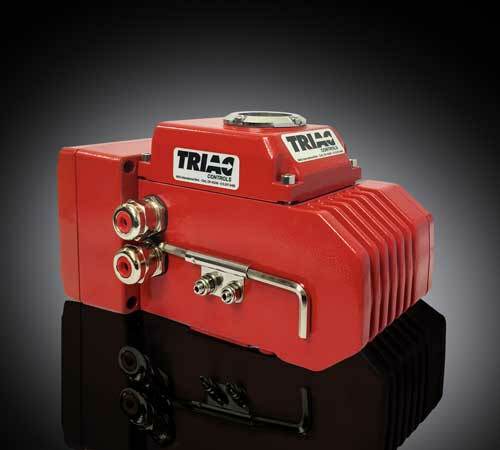 A-T Controls offers the TRIAC® BFS Series of backup battery, fail-safe, electric actuators featuring a sealed lead-acid (VRLA) battery with the capacity for five cycles following power loss. The actuator can be configured to fail closed or open, and its battery automatically charges when powered. 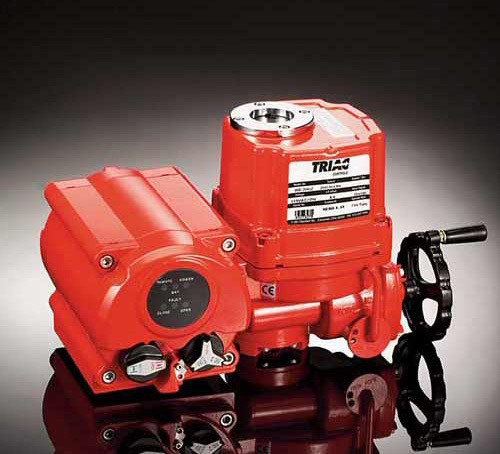 A-T Controls offers the original TRIAC® E Series electric actuators with a variety of features and options. For more information, see the A-T Controls E Series Electric Actuators Datasheet launch and contact us to start your order.